When the referee waved a second yellow then red at Gabriel Paletta on Sunday, for the fifth time this season, it seemed as if he was summoning his Jedi powers as if to say “This is not the Argentinian center back you were looking for.” And even if the guy still has a year left on his contract, we can only hope that comes true. Because now, over a week after taking his medicals, I believe we have found the Argentinian center back we are looking for. And his name is Mateo Musacchio. Musacchio comes to us from Villareal, and please don’t let our Colombian center back who also came from Villareal tarnish your impression of him (thanks a lot, Zapata. Actually, they played together during the 2011-12 season as the preferred pairing.) At the age of 26, he has seven solid years of experience at Villareal. That is 189 appearances and seven goals since he debuted in the first team at age 19. And that debut with the first team was delayed about six months only because his status as a non-EU player. Once he obtained a European (Italian, to be exact) passport, he has been the first choice defender more often than not, often playing ahead of more experienced defenders. Musacchio came through the River Plate youth system in Argentina and even made ten appearances for the first team before moving to Villareal. In fact, he was the youngest player to ever start for River Plate. He also made 15 appearances for the Argentinian U17 side, three appearances for Argentina’s U20 team, and six appearances so far for the Argentinian senior national team. He also comes from Rosario, Argentina, the same place Messi was born. I’m just saying. Musacchio has had a few big injuries in recent years, including one that is only for the faint of heart. (Stupid Barcelona!) But it doesn’t seem like he is an always-injured player, he is merely a center back who gives 100%, and those guys will pick up injuries sometimes. He does have valuable experience in both the Europa League and Champions League with Villareal, and that will really come in handy next year as we try to fight through three competitions. The concept of a more experienced center back who has been very solid coming in and pairing with Romagnoli is the thing Milan fans’ dreams are made of. Dreams that have lasted for more than a year, as he was a player that Milan were after last year when the club sale did not go through, and thus we were not able to purchase any players of appreciable value. But this year is different, and Musacchio has signed a four year contract. That feels like a… what is it called? Oh, yeah, commitment. Speaking of commitments, with Musacchio, last year, Villareal only conceded 33 goals the entire season, the second best defense in La Liga after only Atletico Madrid. A solid center back, young enough but not too young, coming in on a four year contract feels like a dream come true. But it really is true. May 30th, and we’ve already completed a signing and renewed Montella. With another player in medicals already, these must be the signings we were looking for. We won’t know until the transfers are complete and the matches begin if Milan truly are back to compete at the highest level. But signing Musacchio does give us fans a certain amount of security.Four years of security, to be exact. And he’s already updated his Twitter profile, too, so he’s clearly excited to be here. 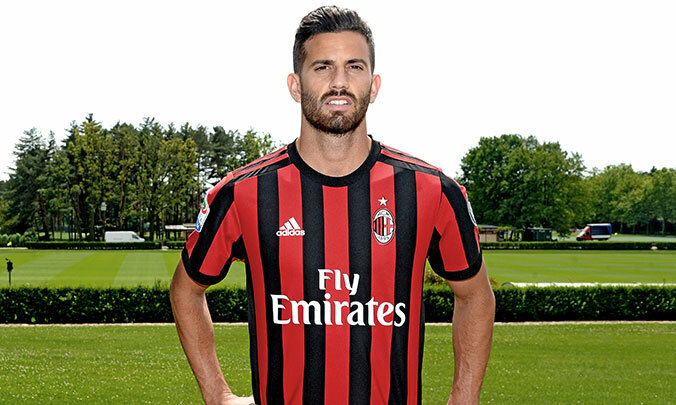 The first signing of the new Milan era… welcome Musacchio!